We know we’re only as good as the people that work for us. So, we’re always looking to put together the best possible team we can. Get in touch with us if you think you’d be a good fit. We’re always looking for winners to join our team. Read the stuff below, and if you’re still interested, reach out to us. We’d love to hear from you. We realize this is the most important part (and rightfully so) so let’s get it out of the way first. 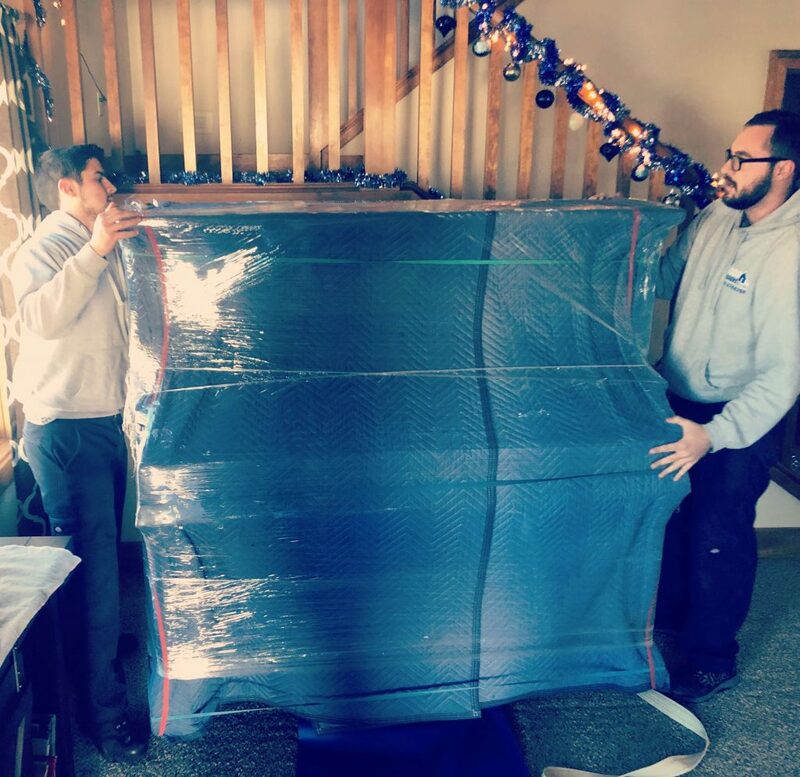 We start crew members out higher than any other moving company in the area. We also pay the highest hourly rate for experienced team members. Everyone gets paid on merit. The better you are at the job, the more you get paid. I could say a lot about what the day to day looks like but just know this upfront: It will be hard. No, really. It’s incredibly hard. There will be lots of long days/nights/weekends and sore backs. There will be lots of heavy lifting (100+ pounds) and miles and miles and miles of walking. And stairs. They seem useful to you now, but trust me, you’ll hate stairs. This sounds horrible, I know. Because you want to be part of something awesome. You want to have fun, get in great shape, and get an amazing farmer’s tan in the summer. You want to learn new skills and show off the ones you already have. If you have experience, that’s great. We can definitely use you. But, we will be a little different than companies you’ve worked for in the past. As long as you’re open minded to new ideas and stepping out of your comfort zone, we’d be glad to have you. As grueling as the job may sound, you don’t have to be Incredible Hulk to be successful. Being physically strong can be useful, but it’s much more important that you be mentally tough. Having good problem solving skills is a definite plus. The biggest thing we are looking for in the interview process is attitude. If you have a good attitude, we don’t care about your experience. We can teach you everything you need to know to be successful but we can’t teach attitude. and tell us why you think you’d be a good fit to join our team. We look forward to hearing from you!